Highly motivated working professionals in India will soon be able to earn a Global MBA from a US university, without quitting their jobs. 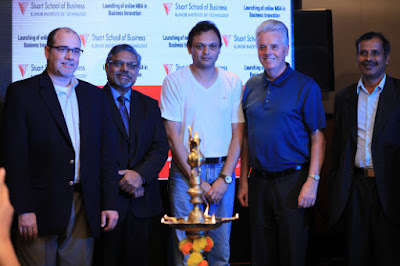 Illinois Institute of Technology’s Stuart School of Business in Chicago, Illinois, USA is launching a Global MBA program in ‘Business Innovation’ for working professionals. Keeping in mind the convenience of Indian students, this program will be a 2-year, part-time course delivered online using interactive technology that provides a rigorous high-quality learning experience. The course aims to prepare working professionals globally for the next phase in business innovation in the age of Big Data and technological transformation. 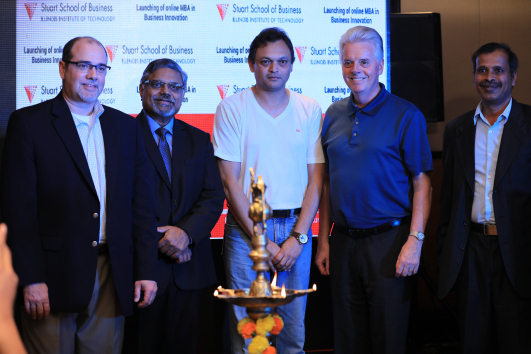 The Illinois Tech program is designed with a focus on business innovation to prepare experienced, mid-career professionals for leadership and management positions in India and abroad. The program will enable international students to take classes online in a live, interactive session once a week, using Blackboard Collaborate technology. The technology will also facilitate student-to-student interaction; projects in global, virtual teams; the flexibility to appear for exams from anywhere. The program also offers an opportunity for students to participate in a short international immersion experience in Chicago.